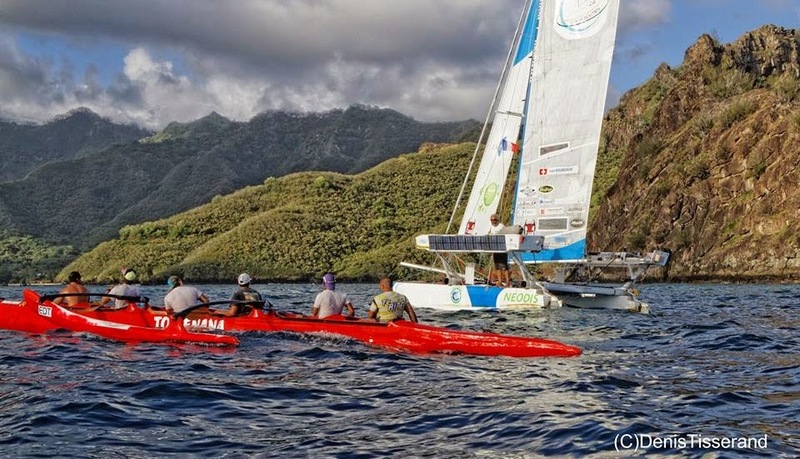 "Just want to inform you that Yvan finished this afternoon his transpac alone on his beachcat ! Quite an express transpac - 20 days only from Galapagos to Marquesas Islands. 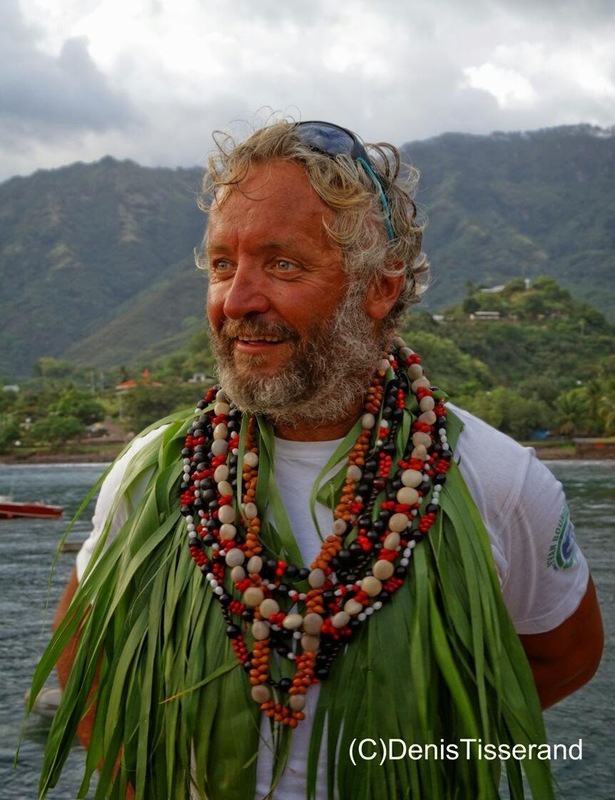 He has reached the island of Nuku Hiva at 4.30 PM (in France), many days in light winds, no too "spiciy" conditions this time, but he broke one of his rudders just after his departure... Hopefully the second one was strong enough to cross the largest ocean... HUGE performance ! He already sailed 10000 miles from les Sables d'Olonne, he made 1/3 of his round the world trip on his 20 feet catamaran, alone.... His first reactions soon ! He is looking for new partners to finalize his budget.